Today most people lead very busy fast-paced lives, and they don’t always have the time to sit down for a meal. Energy bars, which were once primarily the territory of serious athletes, seem to be exactly what most active people need to keep their energy from flagging. These pocket-sized bars offer busy people the ability to save the time and effort preparing a regular healthy meal would require, but are energy bars really good for you? 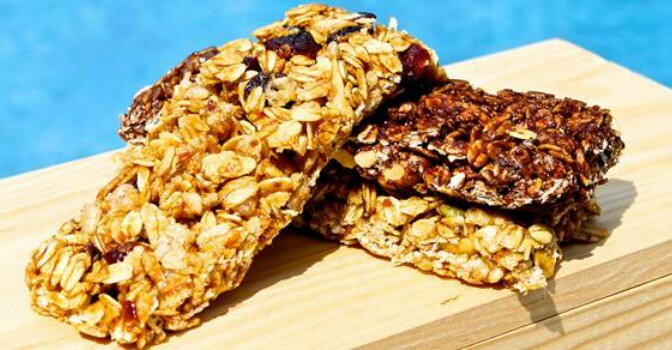 There are now so many energy bars competing for your business that some research into the energy bar market is highly advisable before settling on a particular brand. These portable energy-boosting bars offer a convenient way for people to consume the healthy calories they need to keep on going when they would otherwise be tempted to grab a donut or another unhealthy snack. But what should you be looking for in an energy bar? For starters, you should be looking for a low-fat, low-sugar energy bar, otherwise you may find yourself in a lot of trouble. 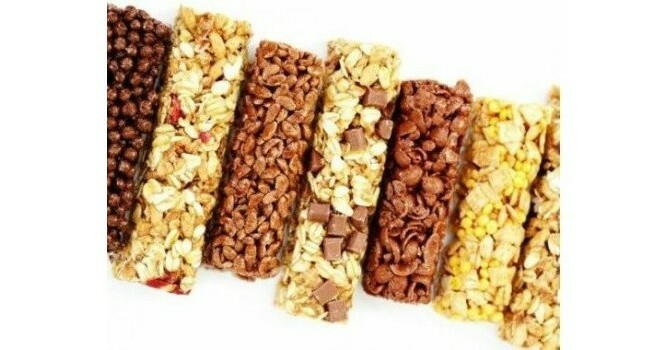 Many energy bars have a high-fat high-sugar content, defeating the purpose of having an energy bar in the first place. In fact, some of them actually have as much saturated fat and sugar as a candy bar. Studies have shown that while some popular energy bars trigger a spike in blood sugar that remains constant for an extended period of time, providing a steady level of energy, others sparked a sugar high that was followed by a rapid decline, similar to the effect of eating a snickers bar. Steady blood sugar levels mean sustained energy levels for athletes or busy active people, but sugar spies translate into energy ups and downs, which are disastrous for athletes and active people alike. An energy bar with a balanced carbohydrate-fat-protein composition seems to be the best overall choice for both endurance athletes and highly active people. Look for an energy bar with the following: less than 8 grams of fat, at least 5 grams of protein, 3-5 grams of fiber, and less than 250 calories. Ideally, if you intend to replace a meal with an energy bar, you should also eat other healthy foods with it, like a piece of fruit, grape tomatoes, carrots, or a cup of yogurt. No matter how convenient or healthy your energy bars are, don’t overly depend on them for your energy needs. Nobody is going to take a full healthy meal with them on a long bike ride or endurance run, but balance your energy needs with other healthy snacks, along with your low-fat low-sugar energy bar! Whereas protein bars are meant for building muscle and bulking up, healthy energy bars are intended for people who need to maintain a higher level of energy over time and distance, such as athletes who undergo endurance training, power walkers, runners, bikers and swimmers. The best energy bars include both carbohydrates and protein because carbohydrates supply energy to muscles, while protein repairs those muscles. Healthy energy bars’ low-fat/low-fiber combination also makes them easier to digest and control hunger on longer runs and bike rides. The best energy bars are low in sugar and fat, and higher in protein and carbohydrates, serving as energy-boosters before your workout, and muscle-builders after your workout. 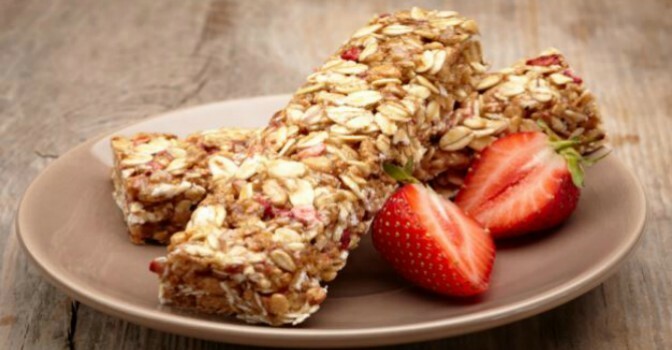 Healthy energy bars have the perfect amounts of both protein and carbohydrates for the very busy active person. Low-fat energy bars are better substitutes for a meal than random mindless snacking, preventing the hunger and subsequent binging so many of us face after skipping a meal. The best energy bars are those whose protein is sourced from eggs, brown rice, whey or casein. Fractioned palm oil: A cheap oil used for its high heat stability — it’s bleached, filtered, melted, degummed and refined before being added to any product. Maltodextrine: (corn): A cheap genetically modified sweetener. MSG: a so-called flavor enhancer with potential side effects like facial pressure, headaches, nausea and chest pains. Artificial sweeteners: (malitol, sucralose): their sweetness tricks the body into thinking it is getting some form of energy – which artificial sweeteners do not provide – but severe sugar cravings strike when the body’s needs for energy are left un-satisfied. High-fructose corn syrup: corn syrup is a glucose-rich syrup made from corn starch. It does not naturally contain any fructose, which is a very sweet simple sugar made by many plants. HFCS is created through a process involving several stages and three distinct enzymes, producing a syrup with about 90% fructose, which is then blended with glucose into a fructose/glucose syrup. It is an inexpensive processed sweetener, thought to be worse for the body than normal white sugar. Soy protein isolate: Essentially, processing of the soy bean at high temperatures strips its’ nutrients and manipulates the protein into a new chemical structure, making it a synthetically derived protein. What should you be looking for in a healthy energy bar? Fruits, berries, seeds, and nuts are all-natural antioxidants and great sources of protein, fiber, magnesium, and energy-boosting carbohydrates. 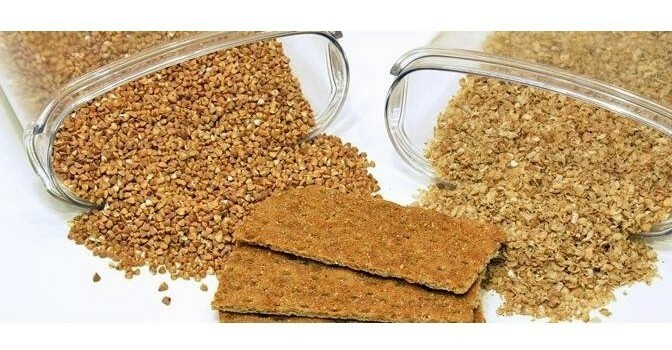 The best energy bars contain the fewest processed ingredients possible, a higher protein content, and lower amounts of sugar, fat and carbohydrates. Don’t buy a candy bar masquerading as an energy bar! Healthy high-protein low-sugar energy bars serve a dual purpose: they energize you for your workout and help rebuild your muscles after your workout. It is also easy to keep track of the calories in healthy energy bars, making them the perfect before or after workout snack! 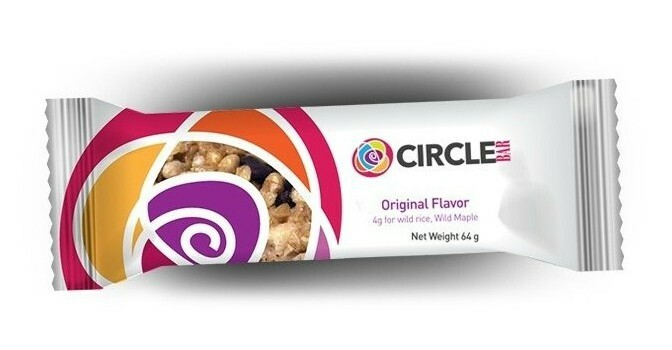 Circle Bars makes the healthiest low-calorie protein bars in Canada, made in Canada with Canadian wild rice, fruits and berries. Our protein-rich wild rice is sourced from the riverbanks lakes and streams of northern Saskatchewan and Manitoba. Our high-energy protein bars are unique in the protein bar market because their gluten-free protein stems from both organic protein-rich Canadian wild rice and pure whey protein isolate, the purest form of whey protein. Wild rice is the only cereal native to Canada, and the only Canadian wild grass to grow from seed and become a grain large enough to be harvested for food. Our other ingredients, such as apples, blueberries, cranberries, gooseberries, strawberries, Inca berries, pumpkin seeds, flax and honey, are all naturally packed with vitamins, minerals, fiber and antioxidants. We pride ourselves on using only the finest ingredients in Canada. Our healthy protein bars contribute toward lowering cholesterol and blood pressure, fighting inflammatory diseases, maintaining bone density, stabilizing blood sugar and boosting heart, kidney and liver health. Our premium high-energy protein bars are in a class of their own in the Canadian nutrition bar market.